'Strange' Apple Event Slated for February, No iPad 3 Until March? ‘Strange’ Apple Event Slated for February, No iPad 3 Until March? The Japanese website Macotakara says that the next generation iPad will not launch in February as previously suggested. Instead, blogger Danbo claims Apple plans to hold a “strange” event later this month followed by a product reveal and subsequent launch in March. Macotakara previously cited an Asian supplier and an unnamed North American source as saying Apple would announce the iPad 3 this month. The latest report is more in line with similar rumors that have hinted at a March release. No one is quite sure what the so called “strange” event is. The blogger additionally mentioned that the iPad 3 will feature a high resolution display, 4G LTE compatibility and a quad core processor. 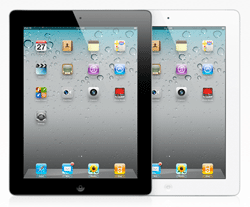 A recent leak revealed that Apple will most likely release two models of the iPad 3, one which will support LTE.